What did you do this for, Fred? We came across this pretty amazing SegaNet ad the other day. 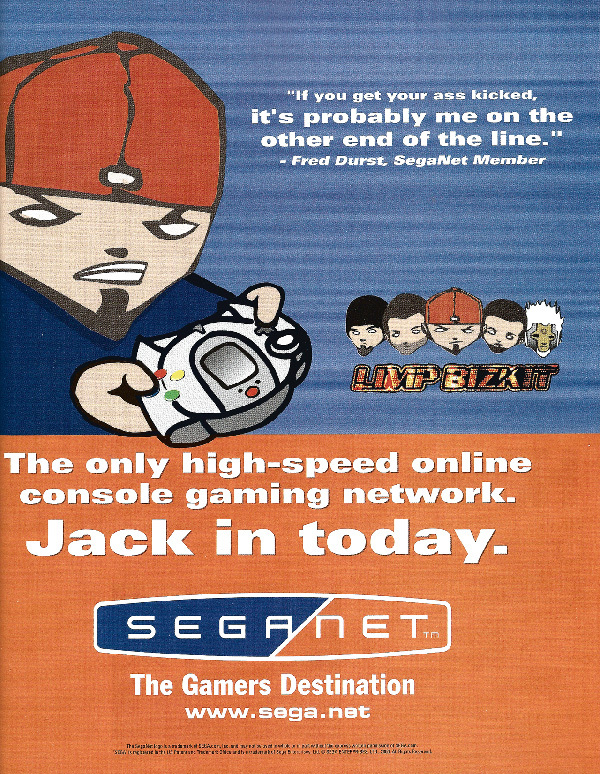 If you’ll remember in 2000 one of the more progressive features of Sega’s Dreamcast was that it supported online gaming. When you are done beating up on your friends locally and online, who else would you want to play against? Celebrities? Ok, I guess. I recommend reading SegaBits full article if you want more details on this surreal partnership. 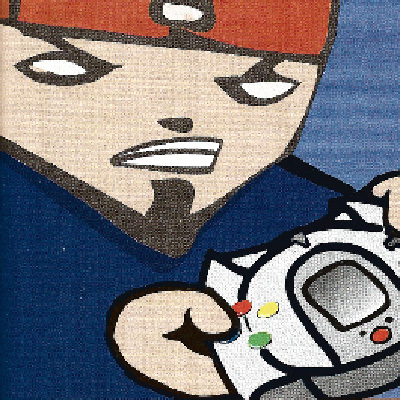 I’m not saying anything definitive here, but were either Limp Bizkit or Sega the same after they teamed up in 2000? In retrospect, this was far more embarrassing for Sega.